One casino game any Aussie player can easily pick up is keno – but is it legal Down Under? The short answer, yes – you can play keno legally all around Australia, as well as online. Learn the laws and how they can differ between each state and territory, and why it is only legal to play keno at secure offshore online casinos. There are multiple lottery organisations which regulate keno around Australia. These have a number of functions in order to ensure the smooth operations of keno, including regulation of policies, technology, and legislation. However, these organisations also have to adhere to governing legislation in the respective state. Tabcorp operates keno in more than 3000 venues across New South Wales and Queensland, and Victoria, which commenced a new 10-year license to operate in 2012. Additionally, NSW has been granted a license until 2050, while QLD’s keno license has been extended to 2047. Tapcorp also holds a license in ACT with 50 venues across the territory offering the title. The random number keno game is drawn every three minutes, with the optional addition of playing a Jackpot ticket, or Heads or Tails. Each state also offers its own legislation which Tabcorp must adhere to, including Victoria which requires the return to player to be no less than 75 per cent of ticket sales under The Gambling Regulation Act 2003. Queensland is regulated by the Keno Regulation 2007, while NSW is regulated by Public Lotteries Act 1996 (now Public Lotteries Amendment (Keno Licensing) Bill 2016). 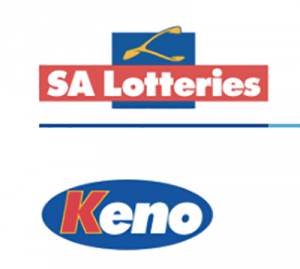 SA Lotteries runs keno in South Australia exclusively, under the State Lotteries Act 1966 (as amended), with games drawn every three and a half minutes. There’s more than 590 venues which you can find the game at around the state, including pubs, clubs, and RSLs. Originally the jackpot was fixed at $1 million. In 2001, this was changed to the minimum amount of the prize total. There is also an option to play a variant known as Keno Coin Toss, however this isn’t available at all SA outlets, specifically SA TAB. SA Lotteries also use to syndicate keno to the ACT until Tabcorp integrated what was known as ACTTAB into their organisation in 2014. SkyCity Darwin operates Keno NT – the only live keno game left in Australia. Games are drawn every three minutes and these games are streamed to over 70 venues around the Territory where players can place their wagers. The NT Government is responsible for ensuring SkyCity Darwin adheres to The Code of Practice for Responsible Gambling and also operates under the Gaming Control Act 2005 to ensure the responsible delivery of keno. Western Australia is the only state in Australia which isn’t allowed to offer keno in the pubs and clubs. Instead you will only find it at Crown Perth, the capital’s land-based casino. You can find standard keno and jackpot keno here, but if you don’t live anywhere near Perth, unfortunately you won’t have access to land-based keno as per the the Department of Racing, Gaming and Liquor. Not to be forgotten, punters can also find keno in Tasmania. Known as Tas Keno, the game is available across the state at pubs, clubs, country clubs and hotels, with games drawn every three minutes. Additionally, Tas Keno operates under the Gaming Control Act 1993 to ensure effective supervision of keno delivery is in place. Unfortunately, none of the aforementioned keno organisations offer an online site where you can play their version of keno, which you will find in their corresponding venues. This means if we want to play keno for real money online legally we have to go to an offshore web casino. This is due to the governing legislation, the Interactive Gambling Act 2001, which makes it illegal for online casino operators to establish a site in Australia. This does not mean it is illegal to play real money keno online, we just need to ensure we are playing at secure offshore web casinos. These Web casinos also need to be verified as safe, since the water between our country and the one they are hosting the Internet casino in makes it difficult to submit a complaint or resolve any issues. Sites which are safe have their own laws imposed by the country in which they are set up. Some are better than others, which is why we have picked the sites detailed above. Each site we’ve included not only offer an array of exciting keno variants, but are regulated by advanced gaming jurisdictions offering player protection irrespective of where in the world you are playing from. This means you can play keno online legally and securely in Australia.